Listing the full range of mobile phone animated episodes. No, there is no mobisode DVD - what we do have, though, is a complete list of the mobisodes available now on the Red Dwarf mobile service. For those who haven't yet dipped in, these are the scenes available right now - including details of an interesting recent addition. For extra bonus points, can you guess the content of each scene from its title? Skutter Fight is a surprise because it's based on an extract from Bodysnatcher, the lost episode of Series I. 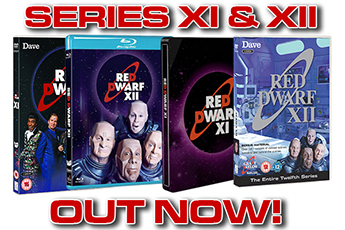 It features Rimmer and, unsurprisingly, the skutters, going at it in animated form. The Red Christmas two-parter is also still available - click here	for info on this bit of Doug Naylor original-penned Dwarf - and, really, shouldn't it be Christmas every day? 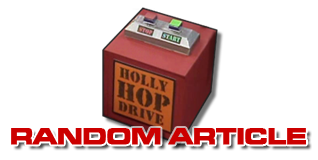 Of course, there are also original voicetones by Kryten, Holly and Rimmer	to download. We're especially loving the sound of Kryten's Lie mode: Please answer your rhinoceros, it appears to be ringing when we're on the bus. 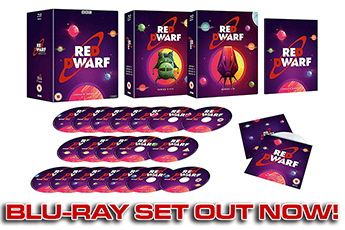 You can download Red Dwarf content from Vodafone, O2 and T-Mobile, or subscribe via the website.